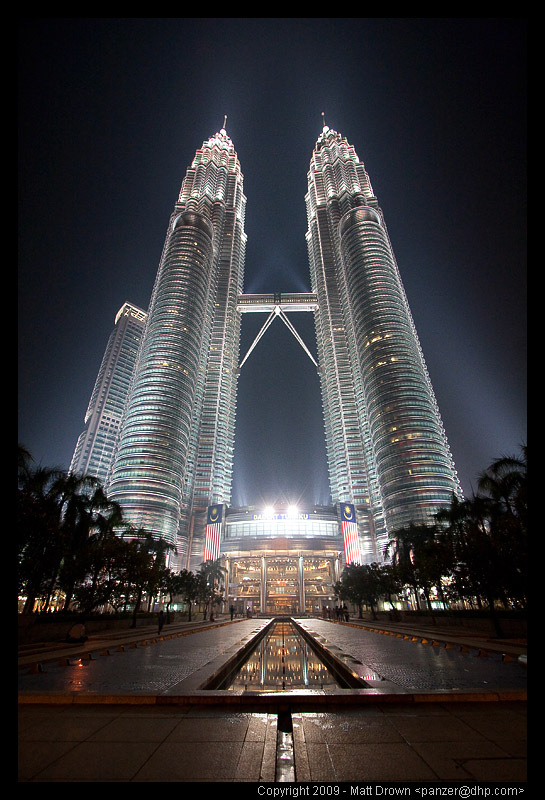 Going through my photos from Asia I came across this shot I took in Kuala Lumpur, of the giant Petronas Towers. This is straight out of the camera, with only sharpening done for the resized version. This was done handheld, late in the evening, with the fog/smog providing a nice halo around the building. Unfortunately I was only able to stay in KL for about 24 hours, so I wasn’t able to go up in the towers, only take pictures from the ground. Hope you enjoy picture, more soon. really good shot, especially since it’s handheld!